The 10 Best Art Galleries in Wisconsin! Art is cherished in Wisconsin through many different mediums and art galleries. There are so many great local and historic artists who have been preserved at tons of galleries across the state. Check out our 10 best art galleries to hit in Wisconsin for you and your art loving friends. Seasons on St. Croix Gallery showcases clay, glass, metal, wood, fiber and mixed media. Two-dimensional work in water colors, pastel, oil, acrylic, and photographs representing over 160 artists. After recently updating their space to a larger one allow for more room and a more extensive range of work. The Edgewood Orchard Galleries began in 1969 has become one of the Midwest’s most respected art galleries. The 1918 barn building that houses the art gallery is a work of art in itself. You’ll find paintings, sculptures, glass, clay, wood, and jewelry are all present and represented by 150 different artists. Tory Folliard gallery features still-life landscape works, along with both abstracts and figurative pieces are art. There are tons of different types of media found at the Folliard Gallery. They specialize in the exhibit and sales of both established and emerging Midwest artists. If you are looking for one of a kind, home grown art—Tory Folligard Gallery is the place to be. Located in West Bend, the Museum of Wisconsin Art collects and showcase both contemporary and historical art from across the state of Wisconsin. 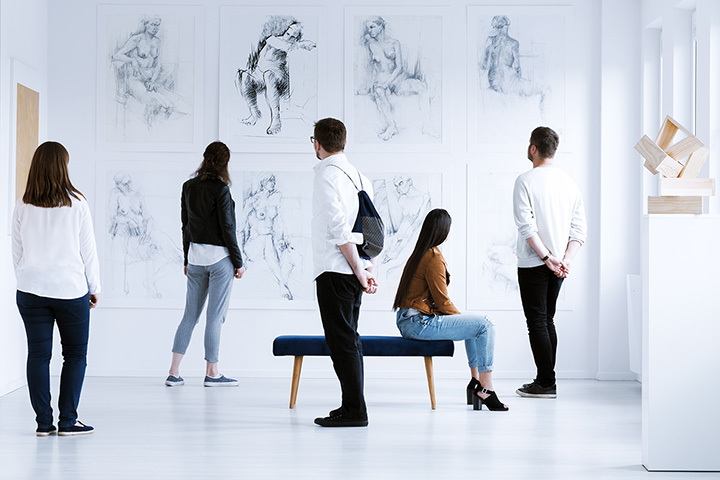 Ranked as one of the top regional art museums, the MOWA not only provide beautiful pieces for the public but also encourages the education of art by providing programs and classes. James Watrous Gallery specializes in contemporary art from Wisconsin. Wisconsin art and craft history, along with works owned by Wisconsin art collectors throughout the ages. Along with the Museum of Wisconsin Art, the James Watrous Gallery places an emphasis on education and lifelong learning of the arts. Work from 45 different artists lies in Woodwalk Gallery. Inside of a historic barn building lies contemporary art in the town of Egg Harbor, Wisconsin. Their full line of artists are featured online to give them the proper credit. Plus on Friday nights, they have fun concerts. Black River Falls is home to the Sampson Art Galleries, Inc. With over 40 years under their belt, they have an award-winning gallery. They offer limited edition prints, oil paintings, and murals. Along with the display of art they offer custom framing for their patrons. Since 1987, the Artisan Gallery has been focusing on fine craft and fine art. They have established a reputation of being one of the largest and most impressive collections of art in Wisconsin. They feature around 100 different artists throughout the United States. Located in on the corner of Lemon Street in Kenosha, the Lemon Street Gallery is a non-profit visual art organization driven to provide visual art education. The Lemon Street Gallery provide a professional venue where artists can display their work. If you are looking for some great local gems—you must go to Lemon Street Gallery. Founded in 1980, the Katie Gingrass Gallery displays contemporary art and fine craft. They showcase pastels, lithographs, and paintings from both regional and national artists. Exhibits change frequently so that the city can be exposed to a number of different artists from around the country. View more Wisconsin Art Galleries.